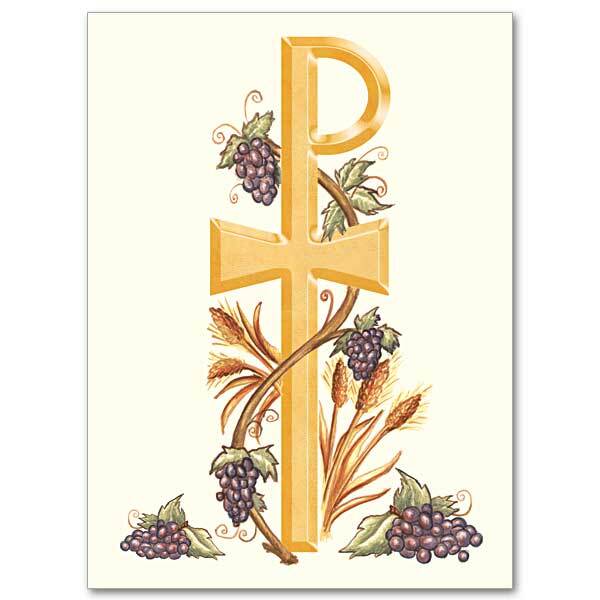 » More Printed Items » Ordination Invitations, Holy Cards, etc. 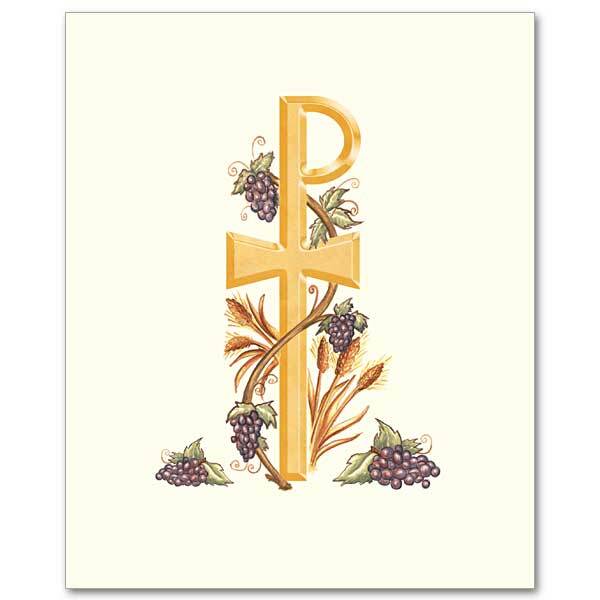 $8.00 setup fee applies once per item to imprinted invitation and once to imprinted envelopes. 20 piece minimum on both. Invitation and envelopes will appear as separate items in your cart. $8.00 setup fee applies once per item to imprint booklet cover. 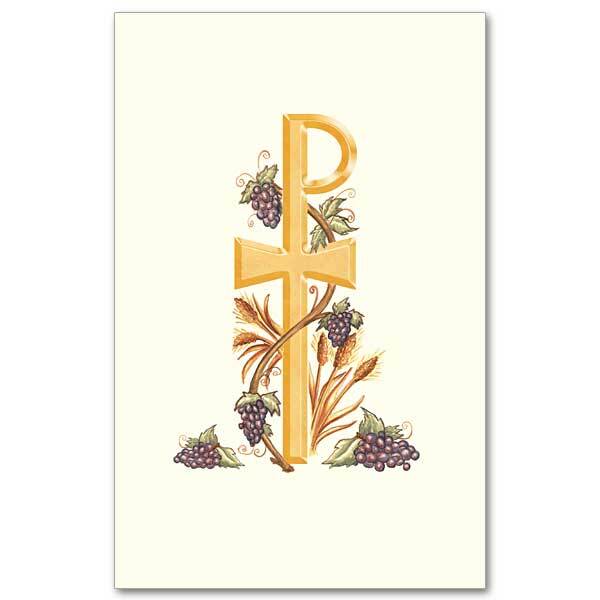 $8.00 setup fee applies once per item to imprinted note and once to imprinted envelopes. 20 piece minimum on both. Note and envelopes will appear as separate items in your cart. Click here for an order form in Microsoft® Word format. Please allow 2 to 3 weeks for orders to be processed, approved, and shipped. Minimum initial order quantity is 20 on each piece. 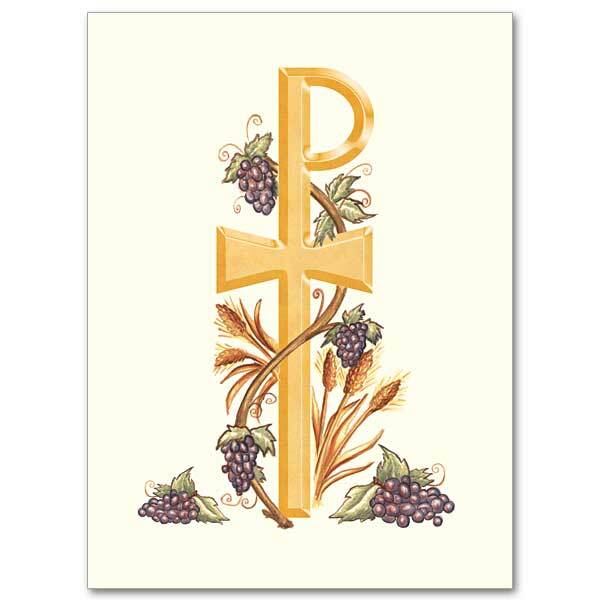 This design features a Chi Rho with grapes and wheat. 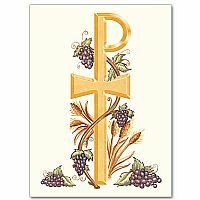 It is appropriate for ordination to the priesthood.